What a relief. 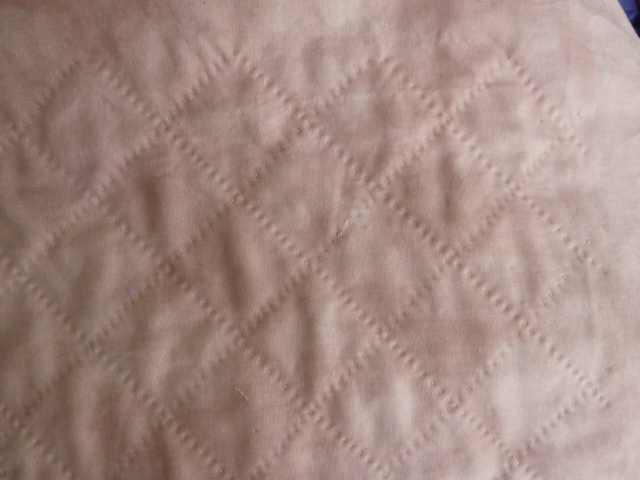 While I really enjoy hand quilting this has a been a quilting marathon. 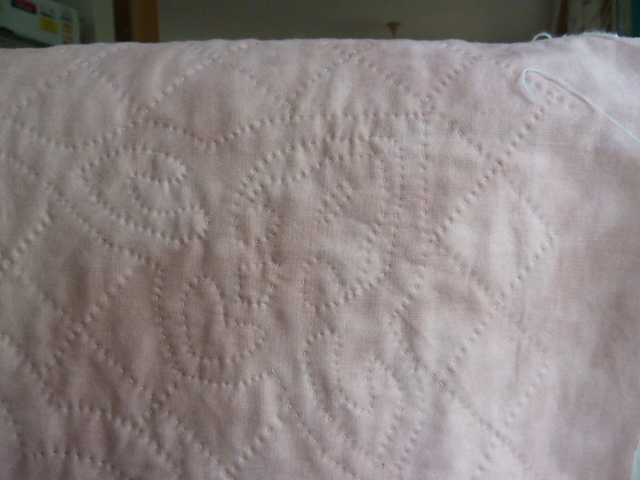 I’m glad I used the Freudenberg Quiltlite it needles so nicely. Anway here are some photos of the back. I’m saving the front for the big reveal! If you click on the photos you’ll get bigger ones where you can see the detail more clearly. 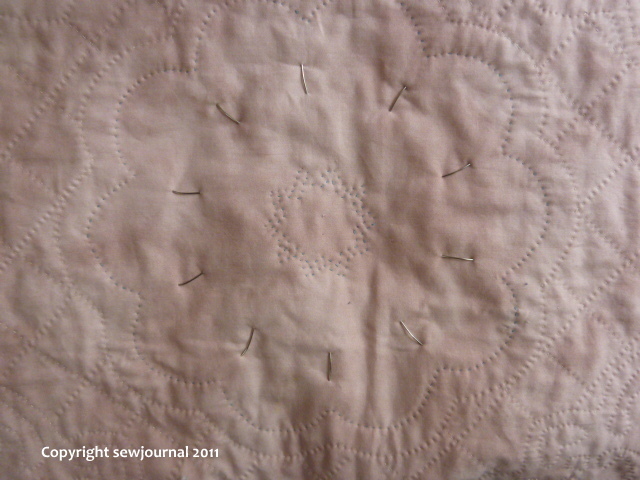 Love the way you’ve quilted the centre of the applique! What beautiful, TINY, even stitches. I’m surprised you can use your fingers to type! I can’t (but have to) wait for the “big reveal”. I know it will be gorgeous.